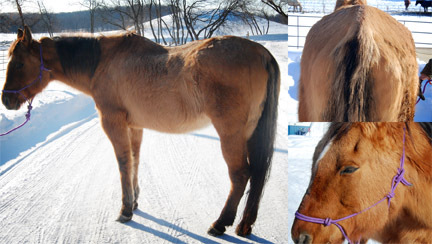 The more donations we receive, the more horses we can rescue. It’s that simple. $350. That’s how much it costs per month to provide the basic care of hay, grain, vaccinations, deworming, and farrier visits for one of our rescue horses and that is AFTER the horse has had proper vet care which for a rescue horse can range from $200- $1000 in the first year. Add to that ranch help, overhead, property, payroll and taxes and the number increases significantly. For those horses who come to us with injuries that require specific veterinary care it costs hundreds of dollars more each month. As a nonprofit Lost Creek Ranch relies on the tax-deductible monetary and in-kind donations of our donors like you. From horse-related products like dewormer and blankets to ranch needs including fencing, wheelbarrows, and shovels we simply cannot do the amazing work that we do without your help. 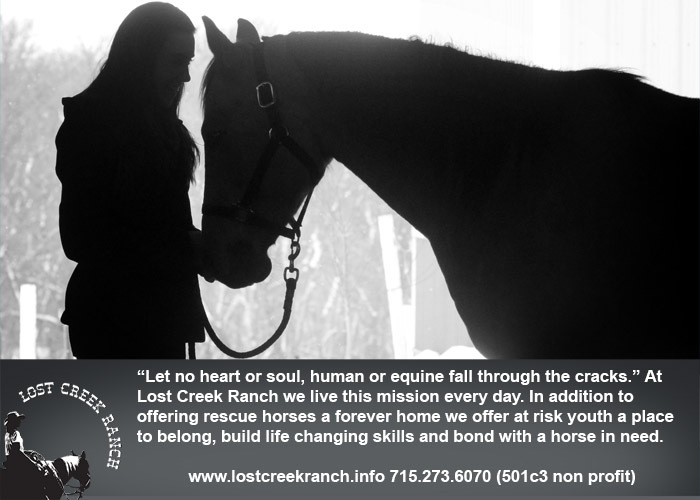 Did You Know that the Rescue Horses at Lost Creek Ranch help At Risk Youth too? 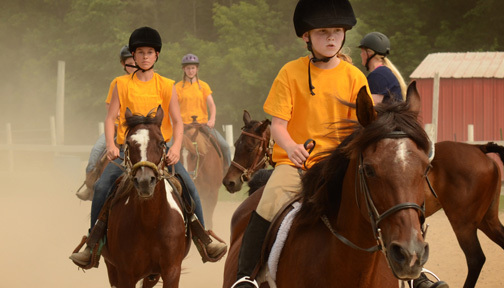 Your tax deductable donations help keep our programs going for horses and youth. Thank You! Are you a skilled laborer? Plumber or general contractor? Whatever your expertise, chances are that we could use your help around the barn. 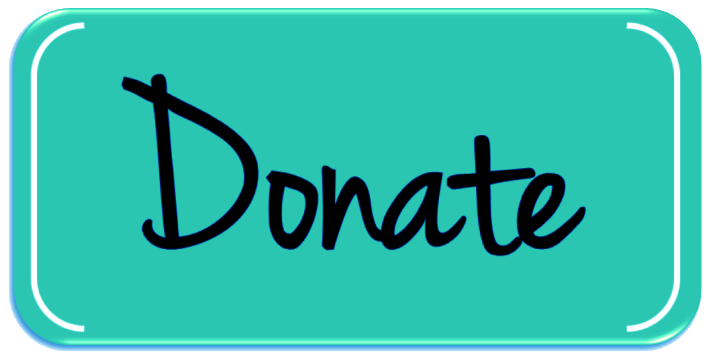 In-kind donations are the perfect way to give to the horses. Are you interested in working to make Lost Creek Ranch even better? Lost Creek Ranch holds a special place in the hearts of every volunteer. It really depends on your skill and interest. Volunteer opportunities range from office work (updating the database, answering phones, mailings, etc), fund raising, working events, helping at Camp Confidence with art activities and meals, gardening, morning and evening chores (feeding and watering the herd) and of course direct horse care including grooming and hand walking some of the rescues. We ask that volunteers are able to donate a minimum of 4 hours/ month. We will set up a tour of the ranch and find out what you are interested in helping with. Are there volunteer opportunities for kids and groups? 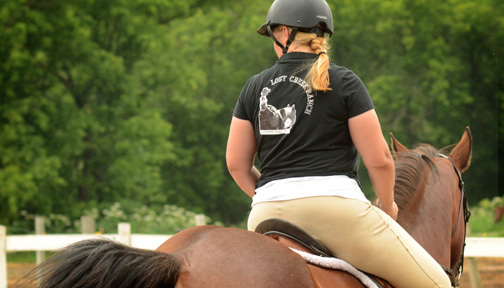 Yes, we take volunteers aged 15 and up and also offer a working student program (download working student application here) for students interested in learning about horse care and becoming better riders. Children under 15 can volunteer as a group (perfect for scouts, church youth groups and 4H). "Let no heart or soul, human or equine, fall through the cracks." Help us Build Word of Mouth: The more people who know about Lost Creek Ranch the more horses we can help. Think about all the people you know and what they do. Do you know someone whose business can help out the horses by donating supplies, labor, printing or anything else? Love to shop? The next time you find yourself at the feed store, throw one or two items from our wishlist in your cart. It’s quick, easy, and makes a huge difference. Ripley's in Red Wing For their continued support! We couldn't do the 100 Mile Garage Sale & Open Houses without their beautiful tents! Melissa Smith, American Distribution & Manufacturing Co.
Sarah Carlson. 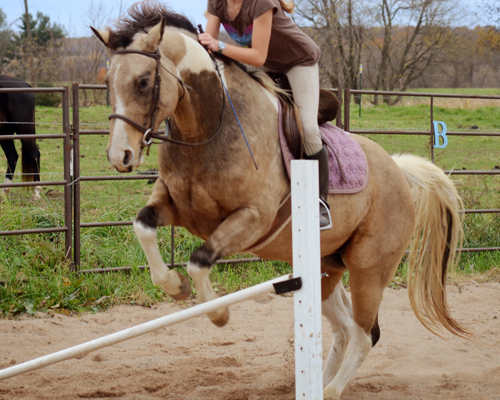 She is sponsoring Savannah our sweet buckskin paint mare. Savannah requires special shoes to keep her sound and pain free. 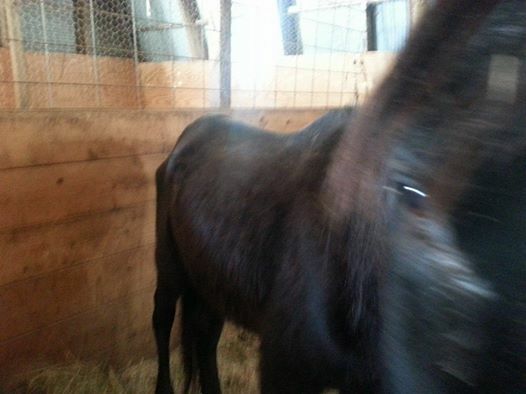 The shoeing is expensive and we are so happy that Sarah chose to sponsor Savvy! Scott Taylor - "Grandpa Scott"
Sarah Carlson, a summer camper of 16 years old, has been saving her money since she was a little girl. Saving to Sarah doesn’t just mean keeping the money for herself. Sarah loves to share what she earns and does so by dividing her money into three categories that allows her to do this. Sarah has been dividing her money in this simple strategy for as long as she can remember. One category is for “savings” and that money goes straight to a savings account in the bank. The second category is “spend,” and that’s money that she can spend at stores and use immediately. The third category is “charity,” that’s the money that she saves up to donate. Sarah has donated to a variety of organizations ranging from her grandparents’ small-town volunteer fire department, to the Animal Humane Society, and Lost Creek Ranch. Recently, Sarah donated to Lost Creek Ranch. Sarah has already learned that not only is it beneficial to the recipients of her donations, but the feeling that she gets when people receive her gifts is priceless. Sarah hopes to inspire others to share.